Mall of Scandinavia keeps getting attention – this time the spectacular mall is shortlisted for the Lighting Design Award in the category: Retail Project of the Year. Jim Collin, Lighting Designer and Office Manager Malmö, is particularly proud of this nomination. Jim has been the project manager for the architectural lighting design on the project since Wingårdh Architects won the commercial design concept-competition in 2011 and invited us on board. 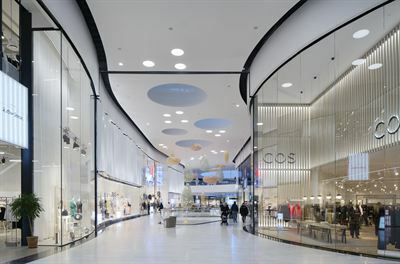 “This nomination is the culmination of a five year close cooperation between ÅF Lighting and Wingårdh Architects. Being nominated for the Lighting Design Award with great competition from numerus internationally accredited companies is a fantastic honour,” he says and emphasizes that he is by no means alone on the credit list. For more information, contact Jim Collin.